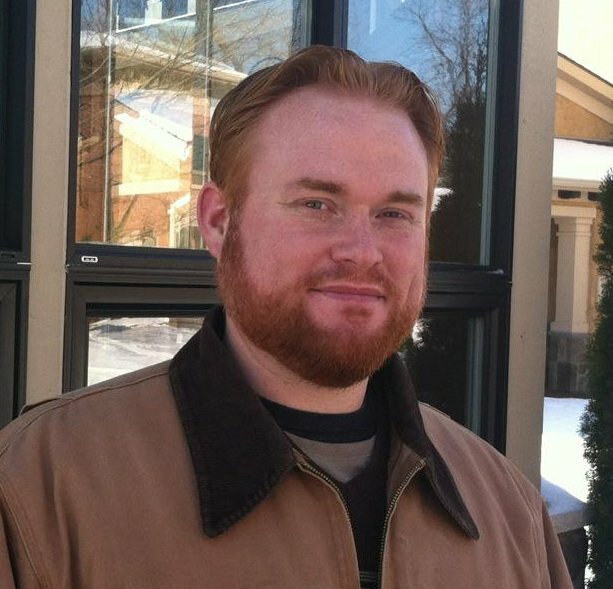 Does Wrought Iron Fence Require Welding to Install It? People looking to install a fence on their own often won’t consider a wrought iron fence because they think it requires welding to install it. However, that’s not the case! 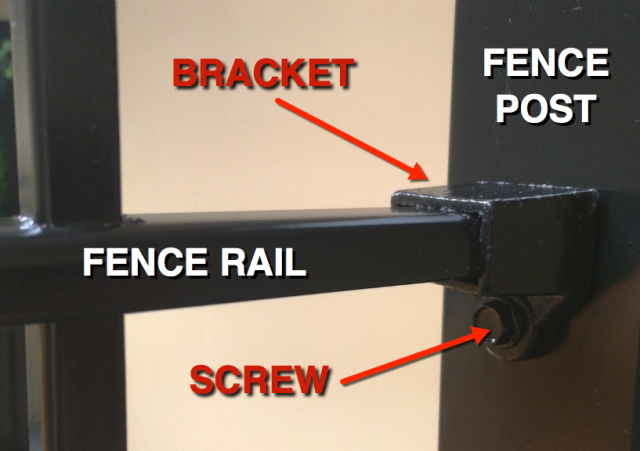 Our iron fence (and quite honestly the majority of them out there) utilize some sort of bracket and screw that allows installation with simple tools just about every homeowner has. 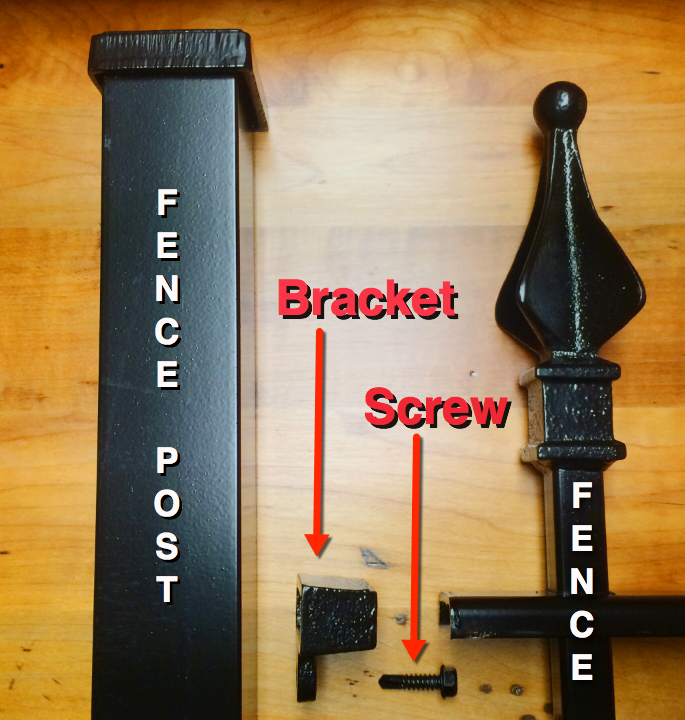 In the image below, you can see the main components of our iron fence: the post, the fence panel (picket and rail), the bracket and self-tapping screw. 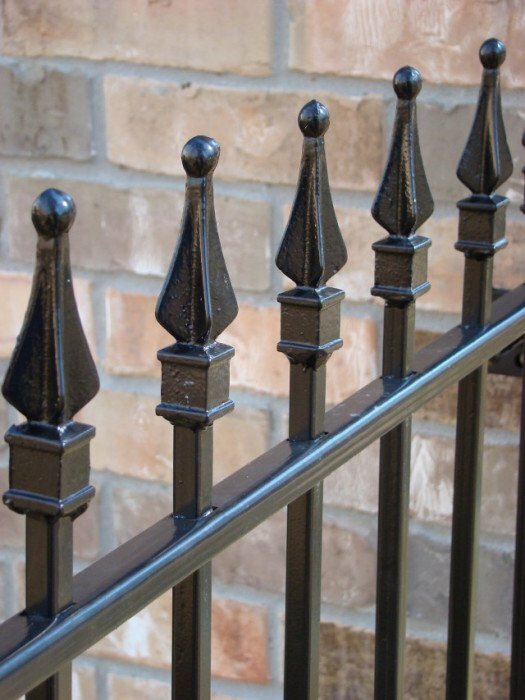 If you have any other DIY install questions on how the iron fence goes together, give us a call at 800-261-2729 or shoot us an email at [email protected] We’re happy to answer questions and help out!